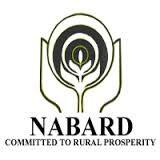 NABARD has published the online Prelims (Phase-I) exam result 2018. All the students who appeared for the same can check their roll numbers in the list published. The Online Phase-I exam was held on 19th of May 2018. Roll Numbers of candidates, who are shortlisted for Phase II - the Main Examination is given below. The Phase-II exam for the same post will be held 17th June 2018.